Choosing the right wedding photographer is an important decision. There are a lot more photographers in business these days becausesmart phones sparked new creatives. This will be the visual archive of your special day, so it’s important to get it right. What kind of photography do you prefer? 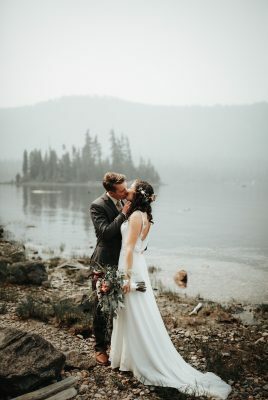 Of course, you will have staged photos of the happy couple along with wedding party and parents, but do you want more candid photos of your guests and the event? The trend is leaning towards more artistic photos with interesting visuals. Another good idea is to encourage your guests to use their phones and create a unique hashtag (something like #jonandlisa2018) for your wedding so people can properly share on Facebook, Twitter, and Instagram. We have worked with couples that hired a professional photographer for only two hours for the ceremony and then relied on their friends and family to handle the rest of the reception with their phones and gadgets. A professional wedding photographer will cost anywhere between $2000-$10,000 and will be with you around eight hours on average. You can save money by hiring an amateur or a new business. The easiest way to start is to search wedding photographer and your ZIP Code on Google. Think about any weddings of friends and family that you have attended in recent years and reach out to them for referral.